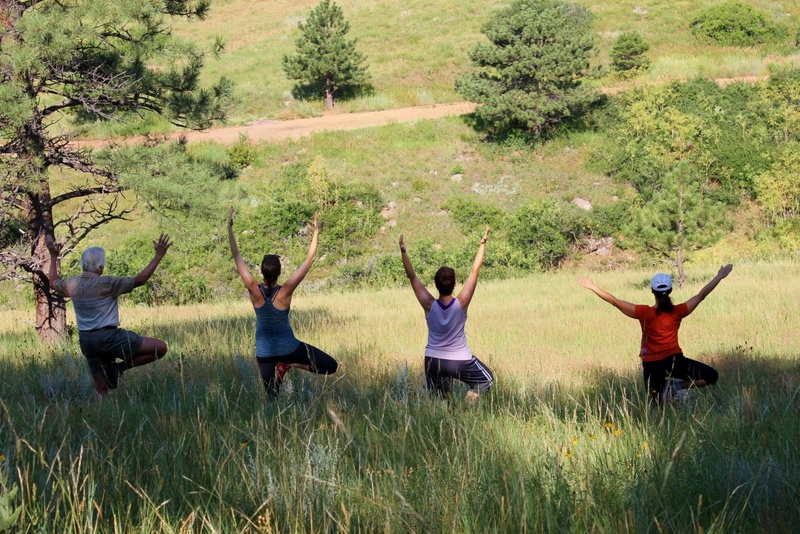 This summer we kicked off Yoga Trails hikes in Boulder, Colorado and I’m asking myself could it get any better than this?! 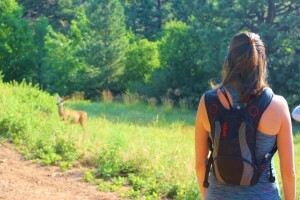 We’ve enjoyed hikes with yoga peppered throughout the hike, meditation on the trail, destination yoga on mountain peaks, and other fresh-air variants of nature-inspire yoga. 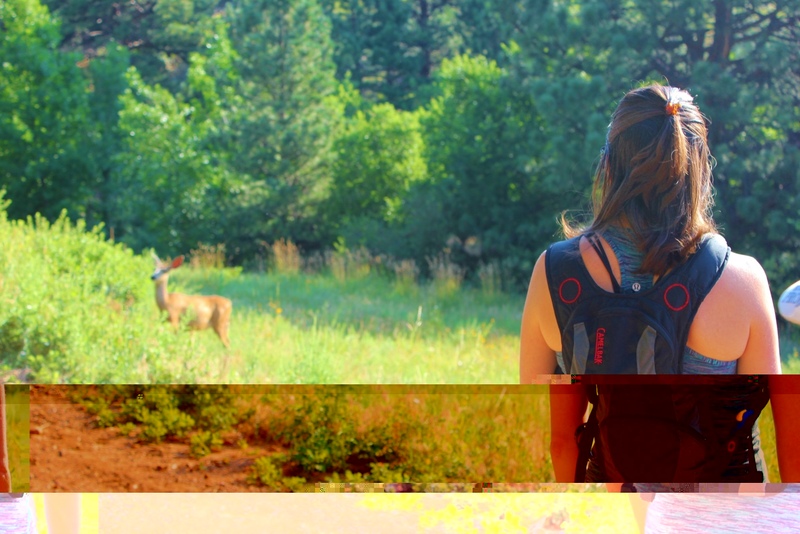 My favorite part, however, has been meeting the incredible people who have been joining these hikes. We all join together for the common goal of experiencing nature-drenched yoga and through this shared interest find natural connections and comradery amongst our group. 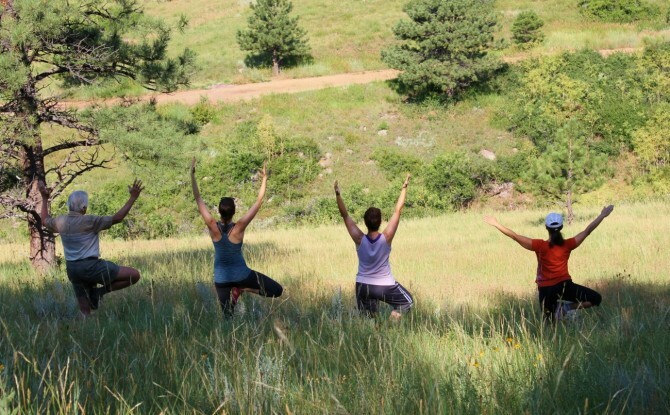 Here are some photo highlights from the summer’s Yoga Trails adventures so far. Imagine you enter a gorgeous park, the sky blue above your head, the birds singing from the trees. A sign in the park says Yoga Today Free, everyone welcome! Being new to yoga you haven’t yet purchased a mat but you wander over to check out the class as it begins to get started. The teacher welcomes you and hands you a spare mat. Coming onto the mat you realize you are surrounded by other community members, neighbors whom you know from the grocery store but not by name. They welcome you with warm smiles and then class begins. The teacher leads sun salutations and you flow through poses called Tree and Mountain. Though you are unfamiliar with these poses there is little struggle for perfection as the teacher guides you to observe your body and thoughts in a safe and encouraging way. When the class is over you feel balanced and renewed. Your mind is free of worry and your body feels strong and flexible. A new day is just beginning and you step off your mat full of inspiration and grateful for the experience of yoga with your neighbors in a gorgeous park. The difference you might find between free yoga and paying for yoga is not only in your wallet. Perhaps the best part of free yoga is the surprise feeling of receiving something without any expectation from the teacher and then the freedom that sets you free to pass on the joy that comes with giving. The teacher as you may have guessed IS actually receiving something when she provides free yoga and that energetic gift of giving is hugely rewarding. Check out the free yoga offered through September at Brown Street Park! Free yoga For Everyone!